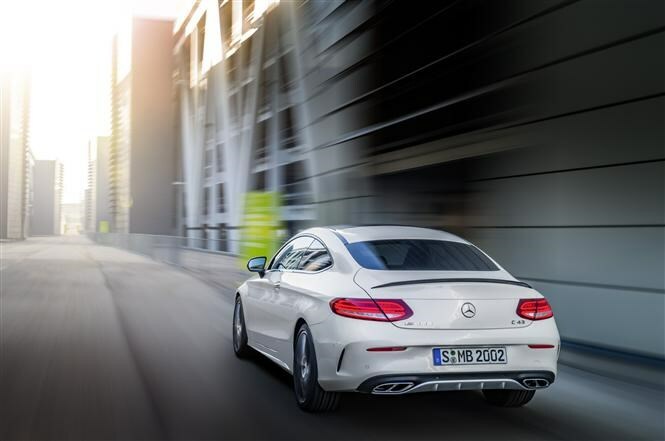 With less power and more grip, the new Mercedes-AMG C43 Coupe looks like an everyman version of the German manufacturer’s hot, V8-powered C63. It has a twin-turbocharged V6 under the bonnet, plus a 4Matic four-wheel drive system to rival BMW’s xDrive and Audi’s Quattro. Best of all it’s a proper AMG model, not simply a fast C-Class Coupe, so it should be very entertaining on the road too. Is it a junior C63 or a warmed-up C-Class? 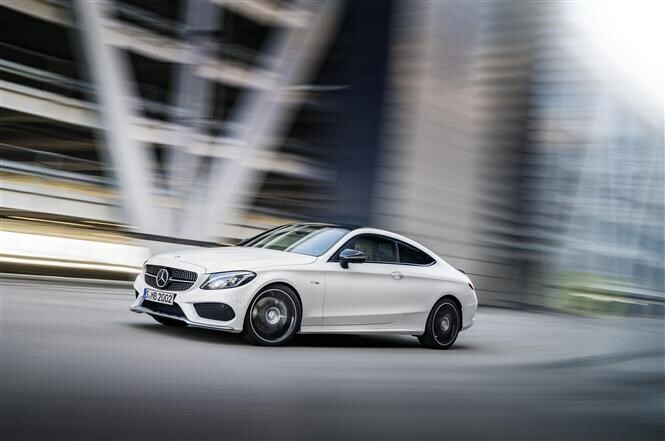 AMG reckon the C43 will “fulfil the brand promise of ‘Driving Performance’ in every respect” and will be the start of a whole series of new ‘43’ models, so it certainly talks a good game. The figures are compelling too - 362bhp and 520Nm from the twin-turbocharged 3-litre V6 and a 0-62mph time of 4.7 seconds – about half a second behind the C63. You also get the nine-speed, 9G-TRONIC automatic transmission (that’s two more gears than the C63) which has a rev-matching function when shifting down and shorter response times in Sport Plus mode. The four-wheel drive system is rear-wheel biased so you can expect at least a bit of the bigger car’s driving dynamics, as well as fuel economy of 35mpg and as little as 178g/km of CO2. 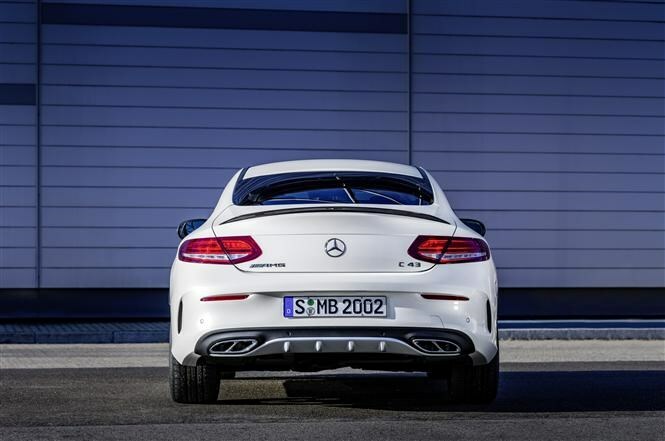 The engine comes from the BlueDIRECT family but has a different turbo boost pressure to provide the sort of output and flexibility we’re used to seeing in AMG cars. Same goes for the nine-speed auto ‘box which has shorter shift times and a manual mode which enables the use of the steering wheel paddles, and won’t shift around without your permission. Both axles have been made more rigid to improve agility, body roll, traction, and encourage neutral handling (neither over- nor understeering) when you’re driving fast. You can pick between three suspension modes - Comfort, Sport and Sport Plus using a button on the centre console, and there are also Eco and Individual modes which alter the engine and gearbox characteristics. Helping boost efficiency is a start/stop function and coasting mode which disengages the clutch when you’re not pressing the accelerator pedal. 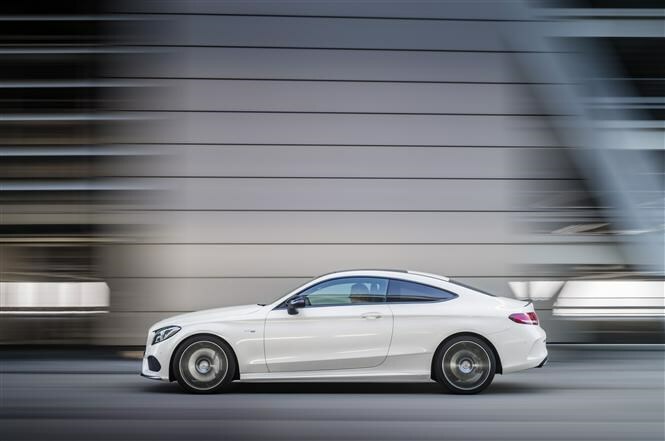 The C-Class Coupe is a quite a good-looking thing already, with the familiar Mercedes-Benz face, a swoopy roofline and brutish back end. Pick the C43 and you gain AMG’s distinctive styling with front and rear aprons and unique exhaust tailpipes. Wheel-wise there are 18-inch five-spoke alloys, painted in shiny high-gloss black, plus the AMG instrument cluster with chequered flag motif makes an appearance. Ahead of this sits a leather multifunction sports steering wheel, with a flat bottom and red contrasting stitching. 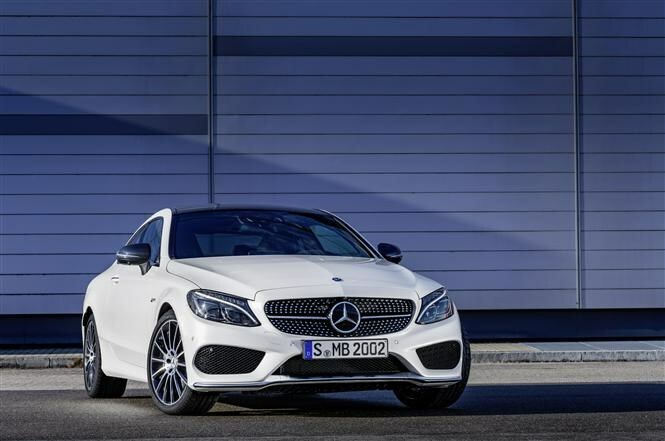 We’ll see the Mercedes-AMG C43 Coupe at the 2016 Geneva Motor Show.